My great great grandfather Karl Bertz was born on 2 September 1854 at Trechwitz, Potsdam-Mittelmark, Brandenburg, Germany and died at Plaue near Brandenburg a der Havel, Germany on 5 August 1932. These dates were given to me by his grandson, my grandfather, Hans Boltz (1910-1992). Hans also told me that Karl Bertz had been a bricklayer. 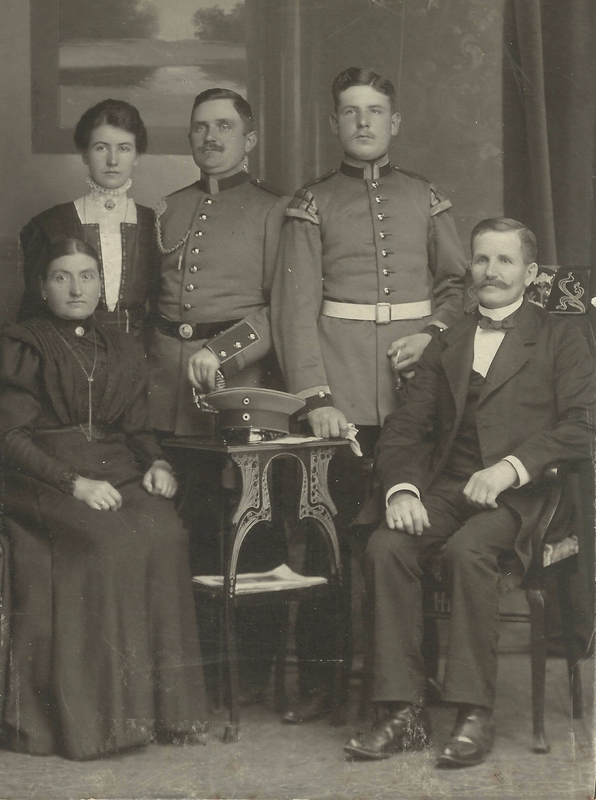 We have a photograph of Karl, seated on the right, with his wife, Henrietta Bertz, nee Ritter (1862 – 1942), his daughter Anna Boltz nee Bertz (1885 – 1961), Anna’s husband Fritz Boltz (1879 – 1954), and Fritz’s brother August Bolz (1871 – ?) . This was probably taken at the time of Anna Bertz’s marriage to Fritz Boltz in 1909. Karl and Henrietta Bertz had only two children. Their daughter Hedwig Anna Bertha (known as Anna) was born at Trechwitz near Götz, fifty-five kilometers east of Berlin, about seventeen kilometers west of Brandenburg an der Havel. Their son Paul was born on 25 June 1888. 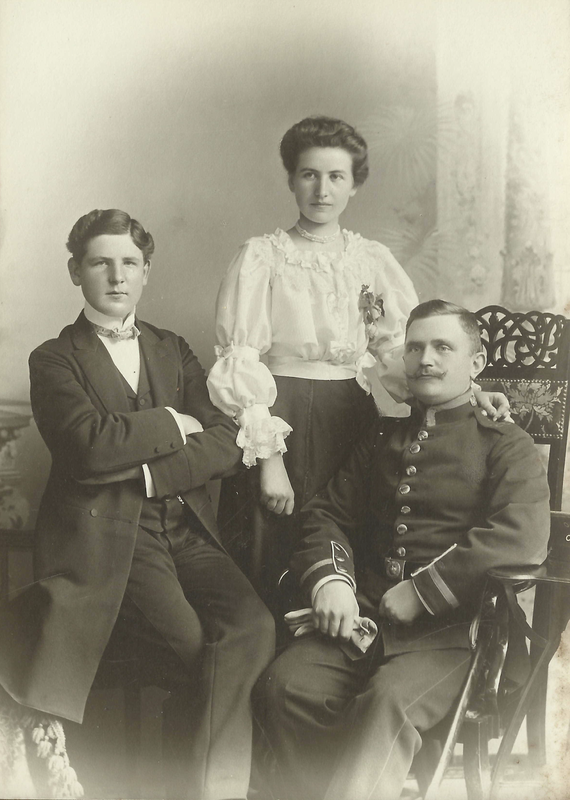 Paul Bertz was photographed with his sister Anna and her husband Fritz Boltz around 1909. I have not found any records to verify my grandfather’s recollections of Karl. My grandfather, Hans Boltz, did not know who Karl’s parents were nor if he had any brothers or sisters. I believe Plaue is near Brandenburg and der Havel, just over 25 kilometres west of Trechwitz. Brandenburg an der Havel Ortsteil Plaue. Die Straße Kirchstraße mit Blick auf die Kirche. 2013. Image from Wikimedia Commons taken by user:Clemensfranz.